Stay overnight after the program ends and have breakfast the next day at no extra cost. 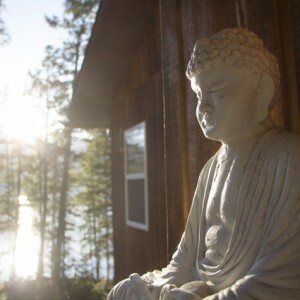 Experience the quiet and tranquility of Yasodhara Ashram. In this retreat, you will focus on going inward, stilling the mind and body, connecting to your inner source of peace, harmony and joy. Each day you will go deeper into a relaxation practice to emerge renewed and full of Light. Re-enter your life with sustaining practices to keep the relaxation, with all of its benefits, alive. Includes shared accommodation, three meals daily, morning hatha, retreat/workshop, and evening satsang. After the program ends, stay overnight and have breakfast the next day at no extra cost. Upon cancellation of a course, retreat, or other program, Yasodhara Ashram will hold your deposit for application towards your next stay for one calendar year. Upon cancellation of a course, retreat, or other program, Yasodhara Ashram will hold your deposit for application towards your next stay for one calendar year. Deposits are non-refundable. Read more at Timeless Books. Yasodhara Yoga Teachers provide yoga and spiritual guidance in the heart of the city. Your support is essential for keeping Swami Radha's vision alive. Learn more about how you can support the Ashram . Box 9 Kootenay Bay, B.C. To subscribe to the Yasodhara Ashram Newsletter, please complete this form. You'll receive monthly updates on all the courses and events at the Ashram. Visit our newsletter archive for past issues.